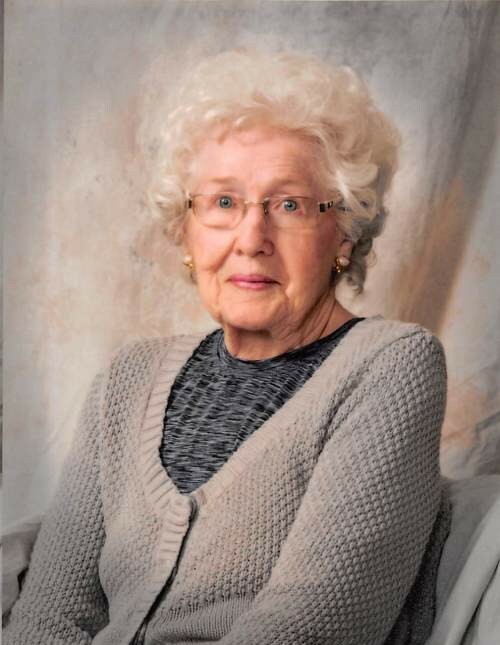 E. Jeanne (Wagner) Miller, age 90, of Wellsboro, passed away peacefully on Sunday, December 2, 2018, at the Green Home in Wellsboro. She was the wife of the late Frank Mahosky, who died in 1988, and the late Edward Miller, who died in 2012. She was born on May 19, 1928 in Charleston Township, the daughter of the late Adam and Ethel (Smith) Wagner. Jeanne took great pride in being a homemaker for her family and two late husbands. She was a woman of strong faith and was a member of the Whitneyville United Methodist Church. She was a master gardener and enjoyed travelling with her family. Jeanne will be missed by family and friends for her dry sense of humor and spunky personality. Left to cherish her memory are her daughter, Tonya Wilcox (John Baker), of Lawrenceville; sons, Barry Mahosky, of Williamsport, and Michael (Peggy) Mahosky, of Wellsboro; step-children, Ronald (Sheila) Miller, of Florida, Donald (Janet) Miller, of Florida, and Miriam (Joe) Yero, of Tennessee; twenty grandchildren; several great grandchildren and many great-great grandchildren; several nieces and nephews; and many dear friends. In addition to her parents, Jeanne was preceded in death by her late husbands, Frank and Ed; one infant son and son, Scott Mahosky; brother, Fred Wagner; sisters, Anna Henry, Catherine Graham, Florence Steele, Erma Bliss, Eloise Housel, Aileen Stewart and Francis Strong. In lieu of flowers, memorial donations can be made to the Animal Care Sanctuary, 11765 Route 6, Wellsboro, PA 16901. Family and friends are invited to pay their respects on Thursday, December 6, 2018, from 11:00 a.m. until 12:00 noon, at Tussey-Mosher Funeral Home, Ltd., 139 Main Street, Wellsboro. Jeanne’s memorial service will immediately follow visitation at 12:00 noon, with Pastor Ed Siddle officiating. Burial will take place in the Wellsboro Cemetery. To share your fondest memories of Jeanne, please visit www.tusseymosher.com.